IndiansinKuwait.com - Kuwait Wayanad Association elected new officials. 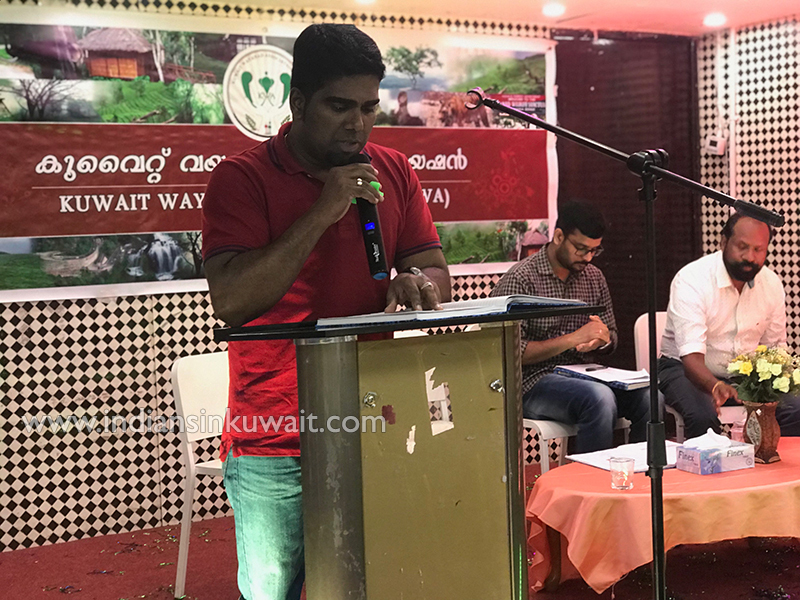 The 4th Anniversary of the Kuwait Wayanad Association was organized at Abbasiya Poppins Hall on April 5 with colorful shows. President Reji Chirayath addressed the General Meeting stating that the organization is involved in various services in Wayanad like installing free Dialysis Unit, flood relief activities and Vidya Kiran. KWA will be continuing its efforts to integrate Wayanad expatriates in Kuwait and provide them with the essential services they need. Secretary Jinesh Jose presented annual report. Treasurer Jomon Jolly expressed gratitude to attendees and participants. The members of the festival were gifted with the performance of Vismaya Group and raffle prizes were distributed to the members. A new committee for the 2019-2020 was elected with Mr. Sharafuddin as presiding officer. Mr. Mubarak Kambrath was elected as President of KWA, General Secretary Sri Justin Jose and Treasurer Smt Gracy Joseph. Vice President - T P Salim, Charity Convener - Mrs Mini Krishna, Joint Secretary Aneesh Antony, Joint Treasurer Shiji Joseph, Arts Convener Surendran, Sports Convenor Sri Sukumaran, Media Convener Shri Jojo Chacko, Vanitha Vedhi Convener Smt. Tomsy John, Vanitha Vedi Secretary Smt Mariam Beebi, Zone 1 Convener - Assainar PS, Secretary-Shri Shijoy Sebastian, Zone 2 Convener - Sibi Ellil, Zone 2 Secretary - Mr. Libin Sebastian. Shri Jomon Jose was elected as the Auditor. want to be a part of Kuwait Wayanad Association.. please someone get in touch ..